We focus on quality of audience, not quantity by specifically aiming for a group of around 350 attendees. We believe that this is the right number to ensure that our audience is made up of decision-makers from the pharmaceutical, biotech and medical device sectors. Compete or Collaborate: How Will MNC Pharma, Chinese Pharma and the New Wave of Chinese Biotechs Succeed in China’s New Drug Development Landscape? Using Foreign Data for China Approval: What’s the Best Strategy to Fully Leverage the New Rules? Accelerated Approval Strategies: Which Regulatory Path Should You Select for Your New Drug Registration? How Should Medical and Statistics Teams Work Together in the New Era of Innovative Drug Development in China? China in ICH Year One: How Do China’s Top Investigators View the Implementation? The CMO Role in China: What Are their Biggest Challenges and How Are They Innovating within their Organizations? Successful Clinical Development of Cell Therapies in China: What Unique Advantages Does China Have vs. the Rest of the World? IRB Approval Before CTA Approval: The New Bottleneck? Early Development in China: What’s Needed to Bring Us to the Next Level? Over 75% of attendees at ChinaTrials are director-level and above. 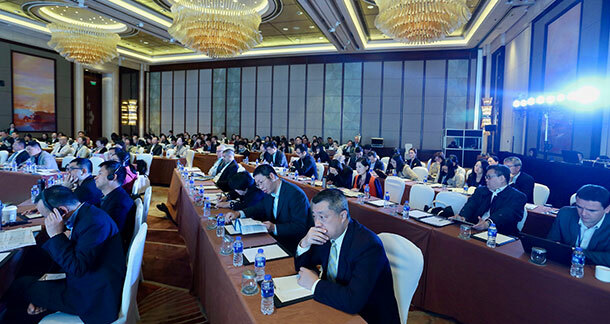 The majority of attendees are from multinational and domestic Chinese pharmaceutical, biotech and medical device companies. Relevant government regulatory officials, university professors and investigators from China’s top hospitals also attend the event. Over 15 hours of dedicated networking time is directly built into the program agenda to facilitate introductions between potential new business contacts in informal settings such as luncheons and cocktail receptions. Learn from over 75 carefully selected speakers who are running hundreds of trials in China and North Asia for the world’s leading pharmaceutical, biotech and medical device companies. We spend hundreds of hours of market research, talking to hundreds of clinical development executives in every job function from every region. This is why ChinaTrials provides the best coverage of the hottest topics by the highest quality speakers of any China clinical event. In just two and half days, you will hear from and meet all the top experts in the China clinical development field and you will meet and exchange ideas with hundreds of your peers from the BioPharma and Device industries. The invaluable information you take away from attending the meeting will have an immediate impact on your daily business activities. ChinaTrials is organized by Lychee Group, the same team that organizes China Medical Affairs Summit, which has established itself as the most successful medical affairs event in China. We help organize most of the top healthcare events in China that you’ve probably heard of including China Healthcare Investment Conference and China Medical Affairs Summit.